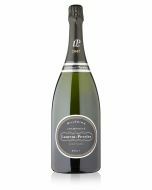 Laurent Perrier Rosé Champagne Brut NV 2 flute Gift Set is presented in an elegant magnetic Laurent Perrier giftbox that reveals the iconic Laurent Perrier 17th century-style bottle dating back to Henry V, accompanied by two branded oenological flutes so you can experience the classical fruity flavours and its trademark freshness. This unique gift box is a very subtle present for weddings, birthdays, Valentine's day and every occasion that needs to be memorable and remembered. Salmon-pink in colour. The nose is precise and very crisp with a lasting impression of freshness, it has hints of soft red fruits, such as strawberries, redcurrants, raspberries and black cherries. Intensely fruity flavours begin clean and well-defined upon entry, the wine then opens up to provide a melange of flavours consisting of fresh strawberries, raspberries and wild cherries. It has great length and is rounded and supple on the finish. 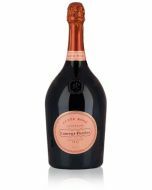 Laurent Perrier Rose is famous for its highly expressive bouquet, which stems from the very careful preservation of the grape's natural fresh red fruit aromas. It is one of the rare rose champagnes to be made using the maceration (skin contact) technique, which gives it the extraordinary depth and freshness that has made it the benchmark for rose champagne around the world. Deeply aromatic and perfect pairing with marinated raw fish, grilled prawns, exotic dishes, Parma ham and red fruit desserts. Also a good experiment of flavours with Asian or Indian cuisine. aesthetes for the beauty of its unique bottle.